Valley picked up a solid home victory Tuesday night, beating Winamac 25-15, 25-19, 25-11. Sophie Bussard paced the Vikes with 15 kills while Shayleigh Shriver zipped in eight assists. Allison Miller dug five attempts and Makenzie Woodcox picked up a block, helping Valley even its record. The junior varsity from Valley was equally sound, winning 25-10, 25-12. Bree Sheetz led the attack with six kills, and Allison Betten also accounted for six points via aces. Macy Kirchenstien posted six assists and Ashley Butler blocked one attempt. Valley (2-2) will dip into Three Rivers Conference play Thursday with a big test at Wabash. If there was one thing to take from the loss to Bremen Tuesday night, Triton can say it got its first game win of the season. After going 3-0 in its first four losses of the season, Triton took game three against Bremen in a 25-17 scoreline. The Lions would take games one and two 25-18, 25-17 and game four 25-12 to close out the win. Dylanie Miller recorded 19 assists and four aces for the Trojans, who saw Alyxa Viers, Abbey Viers and Lexia Howstrawser combined for 21 kills. Molly McFarland and Sydney Musilli teamed for 27 digs. Howstrawser added three solo blocks and Emma Hepler chipped in four assists. Bremen won the JV matchup at 25-21, 20-25, 15-6. Triton (0-5) will visit Argos Thursday evening. Central Noble came toe to toe with Wawasee on its home court and didn’t flinch, winning 25-23, 22-25, 25-17, 25-19. 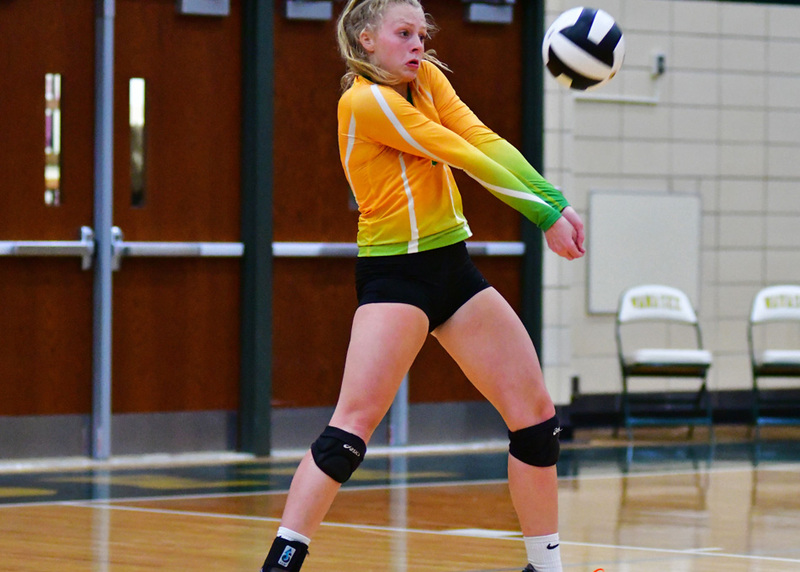 Elizabeth Kleopfer hung 14 assists and 12 digs to keep Wawasee alive, and Madison Simmons dug 20 attempts and aced five serves. Janae Hapner and Peyton Rookstool combined for 12 kills and Brooke Heche added 15 digs. Wawasee claimed the JV matchup in a 25-17, 25-13 fashion. Four aces and kills for Emma Dippon, 10 digs for Morgan Heche and nine assists for Corin Nyce did the trick for the winners. The freshman outfit from Wawasee also won at 25-9, 25-18. Laney Gross had a full plate with eight assists, three aces and two kills for the Lady Warriors while teammate Lauren Miller added five aces and two kills. Wawasee (2-2) will visit Bethany Christian Thursday night.